NEW YORK – Bangladesh has become one of Asia’s most remarkable and unexpected success stories in recent years. Once one of the poorest regions of Pakistan, Bangladesh remained an economic basket case for many years after independence in 1971. In fact, by 2006, conditions seemed so hopeless that when Bangladesh registered faster growth than Pakistan, it was dismissed as a fluke. Yet that year would turn out to be an inflection point. Since then, Bangladesh’s annual GDP growth has exceeded Pakistan’s by roughly 2.5% per year. This year, its growth rate is likely to surpass India’s (though this primarily reflects India’s economic slowdown, which should be reversed barring gross policy mismanagement). Moreover, at 1.1% per year, Bangladesh’s population growth is well below Pakistan’s 2%, which means that its per capita income is growing faster than Pakistan’s by approximately 3.3% per year. By extrapolation, Bangladesh will overtake Pakistan in terms of per capita GDP in 2020, even with a correction for purchasing power parity. To what does Bangladesh owe its quiet transformation? As with all large-scale historical phenomena, there can be only clues. Still, in my view, Bangladesh’s economic transformation was driven in large part by social changes, starting with the empowerment of women. Thanks to efforts by the nongovernmental organizations Grameen Bank and BRAC, along with more recent work by the government, Bangladesh has made significant strides toward educating girls and giving women a greater voice, both in the household and the public sphere. These efforts have translated into improvements in children’s health and education, such that Bangladeshis’ average life expectancy is now 72 years, compared to 68 years for Indians and 66 years for Pakistanis. The Bangladesh government also deserves credit for supporting grassroots initiatives in economic inclusion, the positive effects of which are visible in recently released data from the World Bank. Among Bangladeshi adults with bank accounts, 34.1% made digital transactions in 2017, compared to an average rate of 27.8% for South Asia. Bangladesh offered a better environment for manufacturing firms to achieve economies of scale and create a large number of jobs. 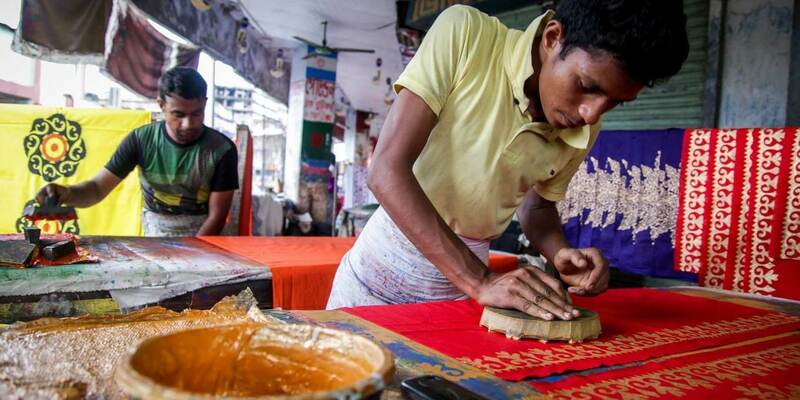 And though Bangladesh still needs much stronger regulation to protect workers from occupational hazards, the absence of a law that explicitly curtails labour-market flexibility has been a boon for job creation and manufacturing success. But there is an even deeper threat posed by orthodox groups and religious fundamentalists who oppose Bangladesh’s early investments in progressive social reforms. Pakistan’s history is a warning. In its early years, Pakistan’s economy performed moderately well, with per capita income well above India’s. And it was no coincidence that during this time, cities like Lahore were multicultural centers of art and literature. But then came military rule, restrictions on individual freedom, and Islamic fundamentalist groups erecting walls against openness. By 2005, India surpassed Pakistan in terms of per capita income, and it has since gained a substantial lead. This is not about any particular religion. India is a vibrant, secular democracy that was growing at a remarkable annual rate of over 8% until a few years ago. Today, Hindu fundamentalist groups that discriminate against minorities and women, and that are working to thwart scientific research and higher education, are threatening its gains. Bangladesh also needs to be vigilant about the risks posed by fundamentalism. If it does, Bangladesh will be on a path that would have been unimaginable just two decades ago: toward becoming an Asian success story. Kaushik Basu, former Chief Economist of the World Bank, is Professor of Economics at Cornell University.